A man with disability trying to get into the jam-packed microbus. National and international evidence indicates that persons with disabilities live in poor households with limited access to employment, have lower enrollment rates in schools and universities and limited access to social services. Many disability-related supports in the conventional welfare approach are centered on providing basic support without considering the specific barriers faced by them. Recent studies have shown that such benefits have very limited contribution to overcome deeply entrenched discrimination faced by persons with disabilities. There is a dire need for social protection measures to go beyond welfare approach and establish innovative approaches that avoid dependency and instead promote active citizenship through social inclusion and community participation. Increasingly, in a low income country like Nepal, social protection instruments are gaining popularity to prevent poverty, reduce vulnerability and social exclusion among individuals or groups who are vulnerable to deprivation. Persons with disabilities are explicitly or implicitly targeted by these instruments to reduce exacerbating rate of poverty and marginalization. 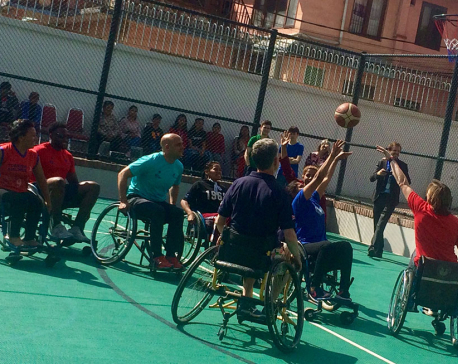 However, the existing social protection measures in Nepal are far from adequate to benefit the disabled persons. Little is known as to how these groups can be properly included in such mechanisms. So what do human rights instruments say about the rights of persons with disabilities? Universal Declaration of Human Rights (UDHR 1948) has clearly stated that persons with disabilities have the right to social protection. Similarly, Article 28 of the 2006 UN Convention on the Rights of Persons with Disabilities (CRPD) has recognized the right to an adequate standard of living and to social protection, ensuring the enjoyment of both rights without discrimination on the basis of ability. Many of the recent Sustainable Development Goals (SDGs) cannot be attained without major transformation of the way social protection programs are designed and most essentially implemented in Nepal. It is therefore mandatory for the state parties to take appropriate measures to ensure equal access to mainstream social protection programs and services. 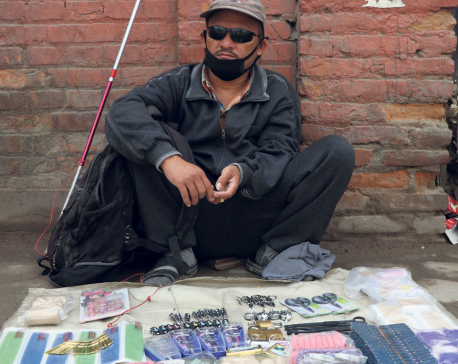 Though the governments in Nepal have adopted some disability specific measures and recently increased the disability allowance amount, a large number of persons with disabilities do not have access to these programs. Besides, whatever provisions have been made to benefit persons with disabilities seem largely insufficient to cover the extra cost that is required for disabled person to make their living. There are additional concerns because of the earthquake and its recurrent aftershocks in Nepal. Various studies conducted around this topic clearly indicate that persons with disabilities will never be able to have equal participation in the development process unless they are provided with additional support. In a country like Nepal where there is severe discrimination and stigma attached with disability, properly planned social protection measures are mandatory to reduce exclusion and vulnerability. Following all these national and international agreements, it is now very important for the government to undertake concrete initiatives focusing on the wellbeing of persons with disabilities. Moreover, to ensure no one is left behind in the traditional welfare approach, the government of Nepal needs to adopt advanced social protection measures and make necessary legislative and administrative reforms for this purpose. I have the following recommendations in mind. First, we need to improve accessibility of disabled persons in the social protection programs. Many a times, wheelchair users and other types of persons with disabilities such as deaf-blind persons may not simply have access to information and thus prohibited to benefit. They do not get easy access to public transportation service as well. 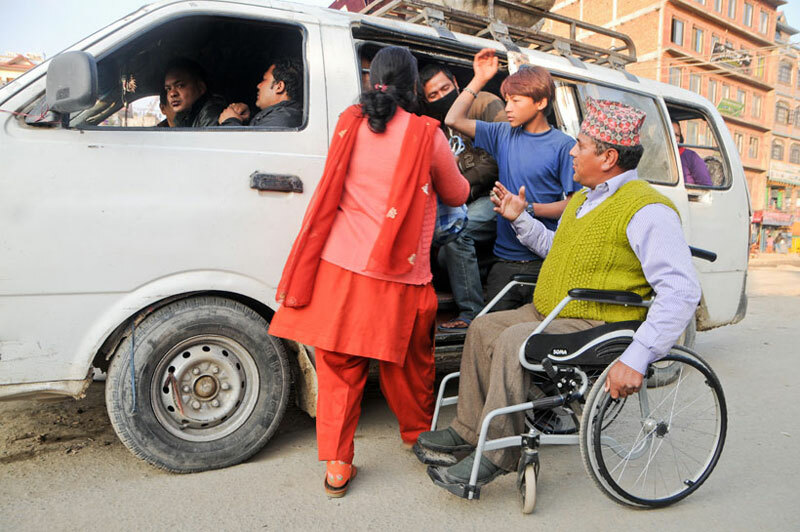 Therefore, the protection measures should be designed in consultation with persons with disabilities, their representatives and the organizations such as National Federation of the Disabled, Nepal (NFDN). This will help to break the barriers and open up better opportunities that will likely benefit people with disabilities. Second, targeting and the accrual cost calculation is another major concern for all social protection programs that aim to provide support to the disabled. It would be nearly impossible for the government to address such a big concern all by itself. Given lack of a credible data system on disability in Nepal, it is very challenging to determine proper support mechanism. Therefore, the concerned departments should seek help from the agencies working in the field of disability to determine benefit packages and accurate cost analysis for treatment, care and mobility and the targeting mechanisms. Third, there is a need of mixed interventions as realized by many organizations in the post-earthquake recovery of Nepal. People with disabilities need to be provided with in-kind transfers that help to promote access to health, rehab services and adequate food. Similarly, inclusive and accessible reconstruction should also be prioritized in the government supported reconstruction works. This is the right time as the government is now closely overseeing and expediting reconstruction works. Fourth, Nepal needs to organize an expert meeting where different policy makers, practitioners and the key stakeholders including persons with disabilities and their representatives are invited to explore good practices and discuss future opportunities for collaboration towards ensuring the right of the disabled to social protection. Such events will be of utmost importance to provide necessary legal and development support to better align social protection in view of human rights. Finally, only having social protection programs is not enough to eliminate vulnerability and exclusion that persons with disabilities face. As highlighted by the 2011 World Report on Disability, there is a need of complementary programs such as rehabilitation, health, education, training, and environmental accessibility etc embedded with the safety nets. The importance of mainstreaming disability into the social protection can never be emphasized enough to reduce poverty and exclusion prevalent among persons with disabilities in Nepal. Social protection measures can contribute to overcome discriminatory barriers by providing additional support that incur by reason of a disability. There is additional responsibility for the government to provide basic social security to all types of persons with disabilities and work towards reducing vulnerability by enabling greater participation through specific integrated interventions.